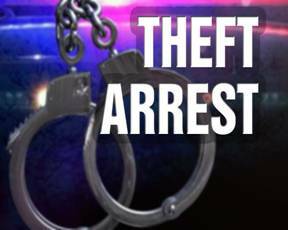 CASTAIC – A woman who was caught wearing pants she allegedly stole from a Castaic laundromat was arrested on theft charges, it was announced Tuesday. Officials at the Los Angeles County Sheriff’s Department said over the weekend a woman reported three pairs of her pants missing from a dryer at a Castaic laundromat. The victim later went to a Starbucks in the area where she saw a woman wearing her pants, authorities said. Deputies made contact with the suspect, who had the victim’s other two pairs of pants in a bag. The suspect was arrested on suspicion of theft. 10 comments for "Woman arrested for wearing stolen pants"
Tim Scott. .. have you ever written comedy… you really should. LOLOLOLOL…This is clearly newsworthy! Where was SWAT? You cannot respond to a pants crime with swats. Sure you can, bend the perp over a knee and swat away. Some LEO’s are into that. Did she buy anything, or just loiter? Three whole pairs of used pants? Call out the major crimes unit! Wonder what they look like. Must be unique.